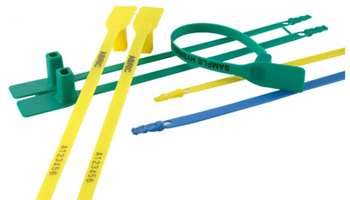 Hybridlock is a polypropylene, flat headed, fixed length, tamper evident security seal, designed for cost effective use with vehicles, tankers and containers. It is designed for quick and easy application with tool free release and is supplied in boxes of one thousand seals, pre printed with sequential numbers. Normally available for dispatch within 2-3 days. Polypropylene, 202.5mm fixed length tamper evident security seals. 8mm width. Pre printed with sequential numbers. 1 box=1,000 seals @ £69.00 per box excl VAT.